Hollywood, CA – Exhibit Records announces the release of a Special 50th Anniversary Numbered Limited Edition album of Trini Lopez, “At PJ’s.” The 200 gram vinyl record is beautifully presented in a sturdy old style gatefold jacket featuring the original album art work and for the first time includes the lyrics to all the tunes. The back of each album is foil-stamped with its unique number. With the release of this album in April 1963 Trini Lopez became one of the biggest singing stars of the Folk Revival. 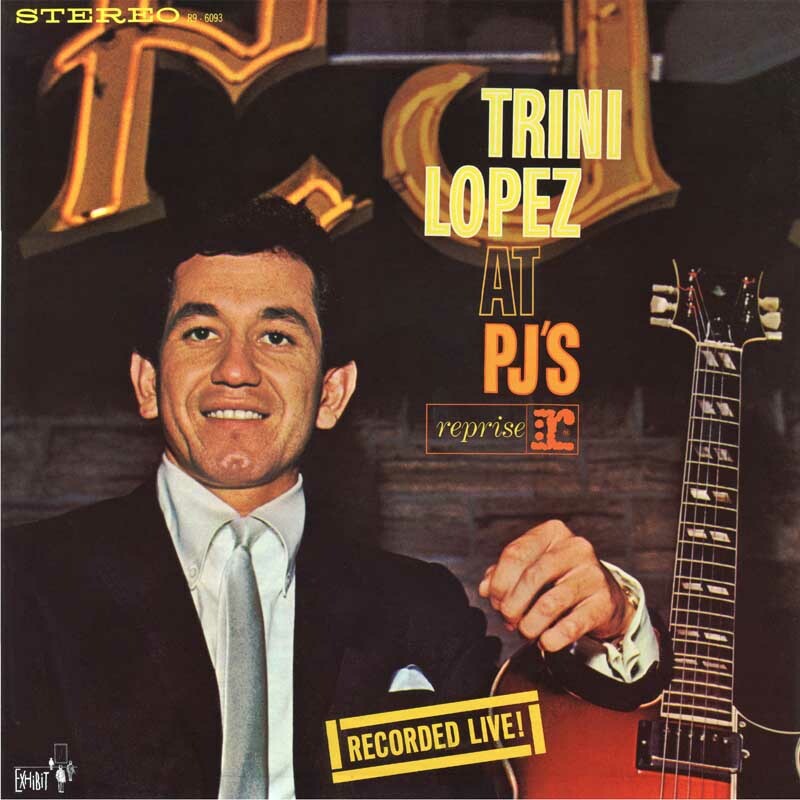 Trini Lopez, “At PJ’s” made it to #2 on the Billboard charts and stayed in the Top 40 for over a year. The album included the chart-topping “If I Had a Hammer” which reached number one in 36 countries and was a radio favorite for many years. The hit single sold more than 4 million copies and the album sold over a million and was awarded a gold record.